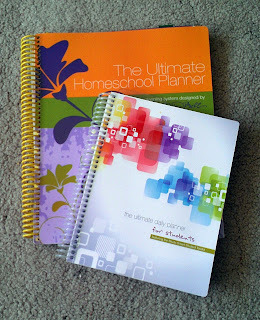 I am very excited to share with you Debra Bell's Ultimate Homeschool Planner! At first I didn't think I would like it. 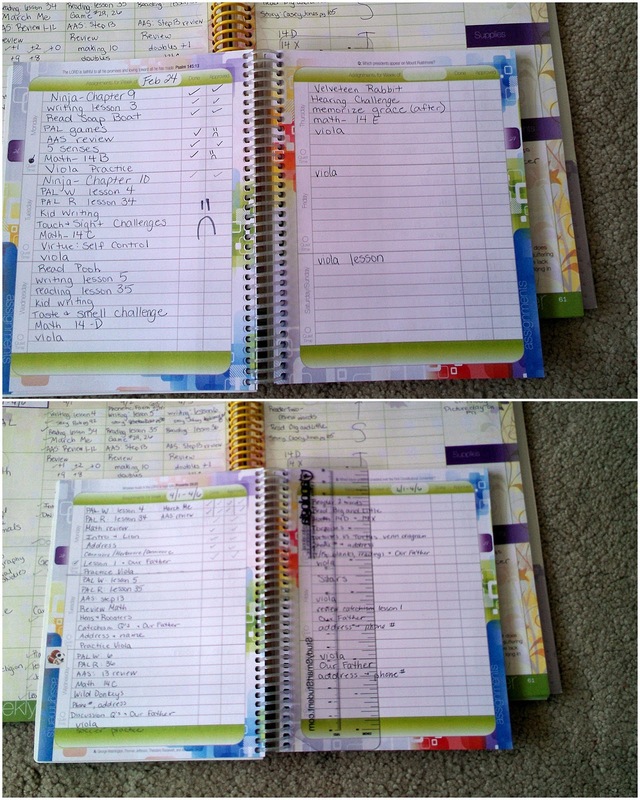 I tend to keep my planning online so I felt that having it written out in a book would be a waste for me. I was pleasantly surprised that this planner has a ton of features that I don't have with my lesson plans I write on the computer. I was pleasantly surprised when I received the planner in the mail. It is completely customizable for however you want to use it. There are folder pockets in the front and back so I was able to put worksheets we will use for the week in the back and the worksheets I will use for the next day in the front. 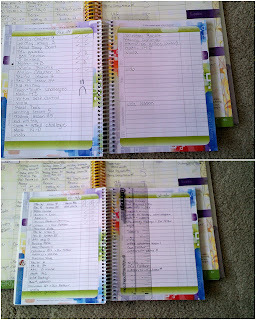 (I love anything that helps streamline school and help keep me organized). The monthly calendar section has room for SIX weeks, so you will never need to share a box for two days at the end of the month. I liked having a section for the week where I could put goals for myself as well as highlight good things that happened during the week. It is too easy to focus on the negative and this is a nice way to shift focus and feel more accomplished at the end of the week. The weekly planner section has plenty of room to write lesson plans down, and because it is customizable it can work with any number of ways of organizing your lesson plans (and for a number of students too). There is a step-by-step explanation of how to use the planner in the front of the book with a few articles written by the creator, Debra Bell. In the back of the book there are places to record reading lists, field trips, outside activities, grades, and a high school planner. To be honest, I am a simplistic planner. I don't need a ton of features, so I didn't utilize everything that is included in this planner, so if you are interested in seeing some of the other features please check this out. 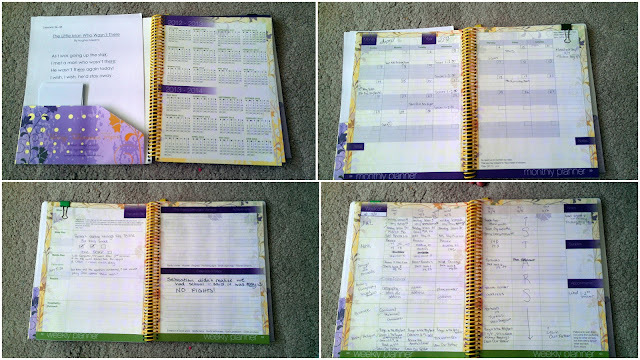 I preferred to just use the monthly planner and weekly planner sections to streamline my experience. The student planner may be a little much for my 5 year old son to use on his own, but he liked being able to see how many things we had planned for the day and being able to cross them out. I also would check mark the things he did without complaint and put in a sad face when he fought me. You can see two different weeks in the picture. One Monday he was having problems, and a different Monday he was rocking it out. He liked being able to follow along, and I can see how this will help him down the line. When he is able to do more things on his own, this student book will help him stay organized and on task for the school day and week. There are little trivia tidbits on each week, and my son did enjoy to hear what the trivia of the week was. It was something to look forward to at the beginning of the week. 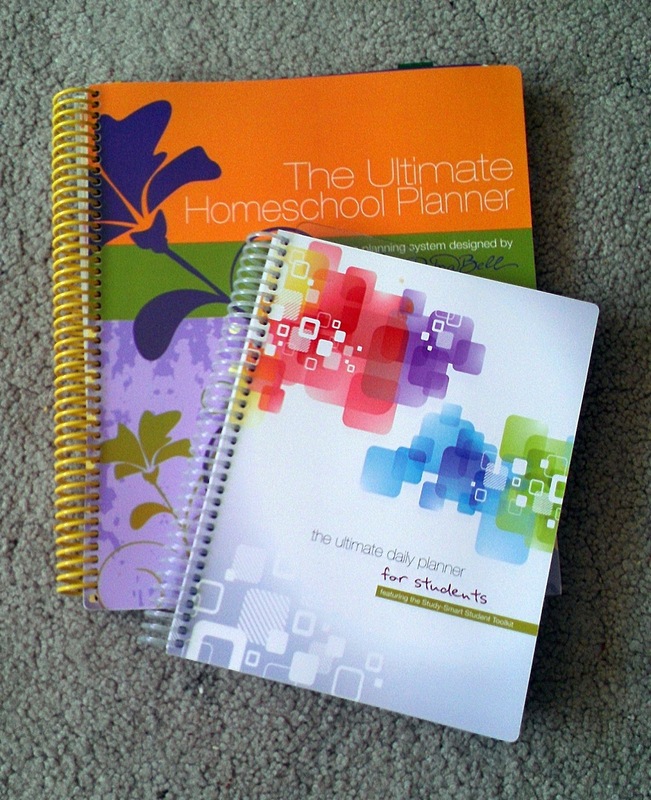 The Ultimate Homeschool Planner is $28 and the Ultimate Student Book is $19 from http://www.apologia.com/ If you are the type of person that likes to write out lesson plans by hand I highly recommend this planner. I will continue to use this planner for the rest of the year and if my organization stays strong you can count on me using it again for next year too! I have some great news! Mosaic Reviews will be having a Facebook Party This Friday, April 12 at 9PM EST and they have some good giveaways! You know it is going to be fun, so check out the event and like Mosaic Reviews on Facebook.